Abubakar Ago, a retired FIFA licensed referee has said that the country’s referees are capable of officiating at the FIFA World Cup finals if given the opportunity. Ago, who is also the Chairman Yobe Desert Stars FC, said on Monday in Abuja that Nigeria boasts of reputable professional referees that have made their mark. No Nigerian referees were listed among the six referees and 10 assistants that were picked by Confederation of African Football to feature at the Russia 2018 World Cup. No Nigerian referee has ever featured in FIFA’s flagship football tournament. Ago however advised his colleagues to always prepare well ahead of matches. “Referees should first prepare physically and psychologically ahead of matches. “ They should also interpret the laws of the game properly, because they will have to defend any decision taken on the field of play. 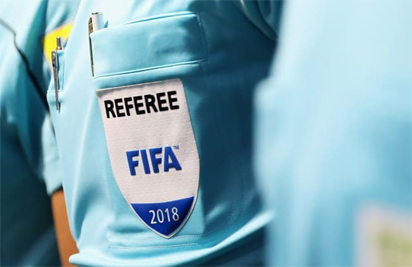 The post Nigerian referees capable of officiating at world cup finals, retired FIFA ref says appeared first on Vanguard News.